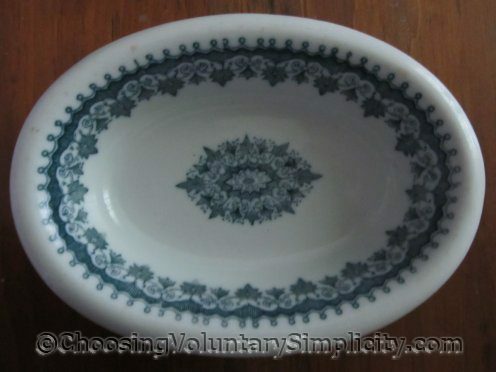 Reader question… “I am writing to ask about the small oval dish in the photo in your post about drying seeds. I have one that is identical, same color and design, same shape, and there might be some words impressed into the back side but I cannot make them out even with a magnifying glass. The dish seems very heavy to me for its size and the china is unusually thick. Do you have any idea why this would be, and do you know who made this dish and when? Is it old? Any information you could share would be very much appreciated.” –Lauraine N.
The small oval dish is a soap dish, and the china is heavy and thick because it is a type of utilitarian china called hotelware that was used in hotels, restaurants, and trains. This particular dish was made by the Greenwood China Company located in Trenton, New Jersey. They were a major producer of hotelware from 1862 until the company closed in 1930. 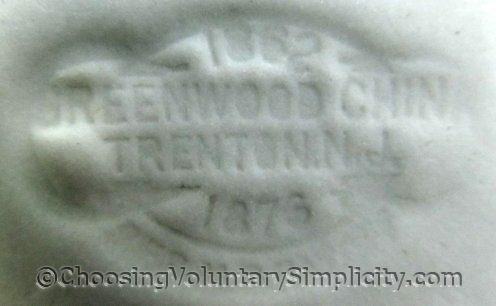 There is a manufacturer’s mark on the bottom of my dish with the words “1862 GREENWOOD CHINA TRENTON, NJ 1876”, and below that “REG. U.S. PAT. 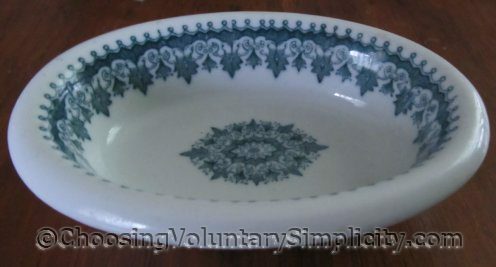 OFF.” Apparently this impressed mark means this soap dish was made in the late 1880’s. 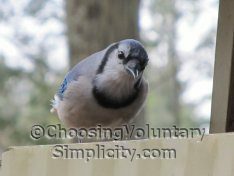 And you are right… the impression is extremely difficult to read and even more difficult to photograph! I have seen this same design in the blue and also a brownish red, but aside from mine never on a soap dish. I have not been able to find what the design is called… I have seen it listed as blue flower or red flower, but I am guessing that these are not the actual design names. Perhaps someone reading this can help? Shirley, I can’t believe you wrote a post to answer my question. Thank you so much for the photographs and including the impression. Now that I know what the impression is I can make out the words, but I never would have done it without your help. I didn’t know that was a soap dish but it just matches the blue in my bathroom and looks great. Thanks so much. I just love this blog. Very interesting post, especially to me because I have a plate with this design and I didn’t know what it was. I hope someone will know the design name. I also wondered why the china is so heavy but it’s quite a lovely piece and I’m happy to know more about it. My thanks as well. The antiques and simple treasures category is one of my favourites. You have such interesting treasures and I love the way you tell your stories and find out the information behind them. More please!